NORWAY - The Norway Bandits belted five home runs and collected 18 hits in the first game of their doubleheader against Watkins in the Iowa Valley League on Sunday. Despite all that heavy hitting, the Bandits lost the ballgame 19-13 on their home field. Watkins finished the sweep by taking the nightcap, 5-3, in nine innings on a two-run homer by Luke Farley in the top of the ninth. Norway hurt itself in the opener by committing at least five errors in the sixth inning, helping Watkins score seven times. Farley socked a grand slam in the midst of all those fielding miscues by the Bandits. Riley Braughton hit two home runs and had four hits for Norway in the opener. Braedon Brown, Jordan Pierce and Christian Stekl also hit homers for the Bandits in Game 1. The defending Iowa Valley League champion Stars were in need of a spark in the nightcap of Sunday's doubleheader with Red Top. After being blitzed 13-6 in the opener at Mount Mercy's Robert W. Plaster Athletic Complex, the Stars turned to a pitcher who felt right at home at the brand new facility. Blake Hargens, who just completed his junior season at Mount Mercy, took the mound for the Stars in Game 2. He pitched a complete-game three-hitter as the Stars salvaged a split with a 7-2 victory. "We always like to at least split, especially if we lose the first one," Hargens said. "We just needed to pick things up around here in the second game." Players on both teams had some trouble adjusting to not only the all-artificial turf playing surface, but a brutal sun that made it almost impossible for the right fielders on both teams to track fly balls in the second game. "It felt really good throwing on a mound that I know," said Hargens, a Kennedy grad who was 3-and-4 this past spring for the Mustangs. "We had troubles (at Mount Mercy) adjusting to the sun and playing on the turf to start the season. It is something that guys in this league will have to get used to." IOWA CITY - Tanner Lohaus felt like a kid again Sunday, roaming around at shortstop and bantering with his teammates in the dugout at Iowa City West High School. "The spikes don't quite fit. I need a new pair," he said after playing for Red Top on opening day in the Iowa Valley League. "But it felt really good to be out there. It was fun." Lohaus, an Iowa City West grad, spent two years at the University of Northern Iowa on their basketball team, but he's planning to change schools and change sports. He wants to play baseball for his remaining years in college after his basketball career did not take root. He was redshirted at UNI as a freshman in 2016-17 and played sparingly this past season, appearing in seven games and playing a total of 35 minutes with eight points and 10 rebounds. Lohaus announced this spring that he'd be making a major change and the search has begun. He's primarily viewed as a pitcher now, but played shortstop in high school and is a good athlete. WATKINS - The Williamsburg Red Sox received terrific pitching all day and swept a doubleheader from Watkins, 1-0 and 7-0, on the opening day of the 2018 Iowa Valley League campaign. Lucas Robbins and Zach Kammin combined on a shutout in Game 1, foiling a strong effort by Luke Franzenburg on the mound for Watkins. Robbins and Kammin struck out seven batters. Franzenburg pitched a five-hitter, but was saddled with a tough loss. Williamsburg scored the only run in the game in the third inning. Truman Schmidt singled and Nolan Arp produced a game-winning RBI single. Luke Farley had two doubles for Watkins. Nick Suppel had two hits for Williamsburg. Tanner Jensen struck out seven batters for Williamsburg in the 7-0 shutout in the second game. Neil Marshall had two hits and two RBIs. Suppel had a double. Connor McCaffery and Tanner Lohaus are best-known as basketball players, but both of them hope to bolster their college baseball careers by playing in the Iowa Valley League this summer. McCaffery and Lohaus, who were high school teammates in both sports at Iowa City West, will be teammates again on Red Top in the Iowa Valley League. Red Top will play most of its home games at Iowa City West this season, beginning Sunday with a doubleheader against Norway at 1 p.m.
McCaffery is pursuing both sports at the University of Iowa, but he got off to a slow start this past year as a true freshman. He played in only four games for the men's basketball team and was granted a medical redshirt waiver following a series of health problems, and he also took a redshirt year with the UI baseball team. McCaffery, an outfielder, still has four years of eligibility with the Hawkeyes in basketball and baseball. The Fairfax Stars captured the Iowa Valley League title last season and also claimed the IABA state title to finish a terrific year. Now the 2018 champions are headed home. The Stars, who feature a strong nucleus of former Mount Mercy and Kennedy ballplayers, will be playing all their home games on friendly fields this time around. The Stars have scheduled three doubleheaders on the new turf field at Mount Mercy University and they'll also have two home doubleheaders on Herkelman Field at Kennedy. 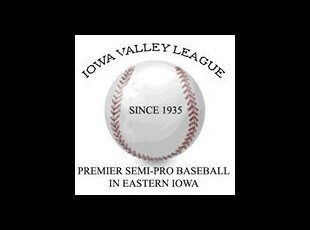 The Iowa Valley League, which began way back in 1935, begins its 83rd season this Sunday with three doubleheaders. The Stars begin the season at Walford, Norway visits Red Top, and Williamsburg plays at Watkins. All of the action begins at 1 p.m.
Cody Bell and Austin Czerwiec, who helped the Fairfax Stars win the Iowa Valley League title and the IABA state crown this summer, have been named the top players in the league. Bell was the unanimous selection as the Most Valuable Player for his work as a hitter, pitcher and corner infielder. He tied for the Iowa Valley League lead in home runs this year. Czerwiec was the unanimous choice as the Outstanding Pitcher in the League. He finished with a 7-2 record that included a one-hitter and a pair of two-hitters. Bell and Czerwiec both played college baseball at Mount Mercy University. Bell was an all-state player at Kennedy and helped the Cougars win a Class 4A state title. NORWAY - Many of them have followed different paths since they played baseball at Kennedy High School, but one thing has remained the same for these former Cougars. The Fairfax Stars, boasting a lineup stuffed with Kennedy grads, captured the Iowa Amateur Baseball Association state title Sunday with a 5-4 victory over Red Top in the championship game at Norway. It's believed to be the first state title for Fairfax, according to tournament directors, and it came with nine Kennedy products on their postseason roster. They cut their teeth as baseball players for Kennedy Coach Bret Hoyer, who has run one of the best programs in the state for 25 years. "We learned how to play the game the right way," said Cody Bell, the tournament MVP. "Never get down on yourself. "It's kind of just togetherness. We stuck together the entire season." Fairfax ran away with the Iowa Valley League title this season, then compiled a perfect 6-0 record in the state tournament with a string of clutch victories along the way. NORWAY - The Iowa Amateur Baseball Association state tournament has been trimmed to three teams with Fairfax, Red Top and Norway still in the hunt for top honors. Fairfax has a 4-0 record in the tournament after clipping Walford, 3-2, Saturday on a three-run homer by Chico Lizarraga and a complete game by Austin Czerwicz. Red Top and Norway both have one loss in the double-elimination event heading into Sunday's games. Fairfax and Norway will meet in the first game Sunday at 1 p.m. If Fairfax beats Norway, the Stars can claim the 2018 championship by defeating Red Top at 3 p.m. If Fairfax loses to Norway, all three teams - Fairfax, Norway and Red Top - would have one loss and they'd battle it out from there in dramatic showdowns. Red Top won the state title last year, Fairfax won the Iowa Valley League title this year and Norway has a rich tradition in the state tournament over the years. WALFORD - Cody Bell has been pitching to Chico Lizarraga for about 15 years now. First it was the Junior Cougars, then Kennedy High School, then Mount Mercy University, now the Fairfax Stars. "Yup. A long, long time," Lizarraga said Sunday night. It's been a winning combination every step of the way. Bell tossed another strong game Sunday as Fairfax trimmed Red Top, 2-1, in a winners bracket game of the IABA state tournament at Walford. Bell pitched a five-hitter with seven strikeouts for the Stars, who won the Iowa Valley League title this season and are 3-0 in the IABA tournament heading into the final round next weekend. "Cody was brilliant tonight," said Lizarraga. "He had his stuff working. Fastball both sides of the plate, off-speed pitch, behind in the count. He had his 'A' game tonight." 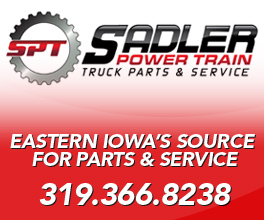 It was a good day Saturday for the five Iowa Valley League teams entered in the Iowa Amateur Baseball Association state tournament. IVL teams went 6-2 during the first-round of play and all advanced to the next round Sunday. The league's only two losses came in games against each other. Norway needed 10 innings to down Walford, 8-2, while Fairfax was a 10-5 winner over Watkins. Norway received a bye and doesn't have to play Sunday. The Bandits allowed just two runs in their two victories, earning the day off due to allowing the fewest runs. Action continues on Sunday with four games in Walford, beginning at noon.